1 Day. 35 Venues. 150 Performances. All Free! Emoto featured artist Opus Orange will be performing on the Levitt Pavilion Stage at Make Music Pasadena 2015, Saturday June 6th! 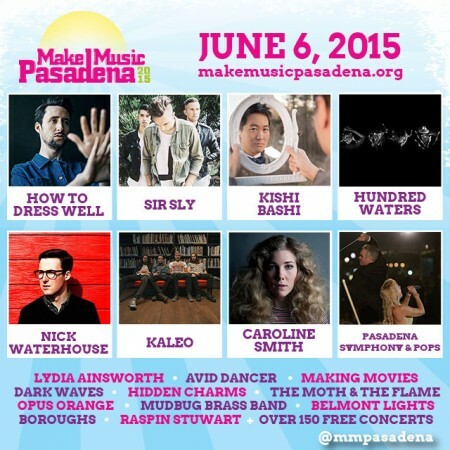 Make Music Pasadena is a free, all-day, all-ages music celebration and a non-profit event generously funded by sponsors and donations. The musical lineup totals more than 150 bands spanning 35 venues and features an eclectic mix of diverse music, including seasoned award-winning performers and emerging homegrown talent, coming together for one day to celebrate the spirit of music and community. Opus Orange goes on at 3pm! Check out the Levitt Pavilion Stage line-up below and follow Opus Orange and Make Music Pasadena on Facebook for information and updates!